It wouldn’t be a PlayStation exclusive without Laura Bailey, would it? Insomniac Games has announced that the veteran voice actress has joined the cast of Spider-Man as Mary Jane Watson; she’s also voiced Nadine in Uncharted 4: A Thief’s End and Uncharted: The Lost Legacy, Fetch in inFAMOUS: Second Son and inFAMOUS: First Light, and is set to star in The Last of Us: Part II as well. Bailey’s no stranger to the Spider-Man series, as she portrays Gwen Stacy in Disney XD’s animated series. 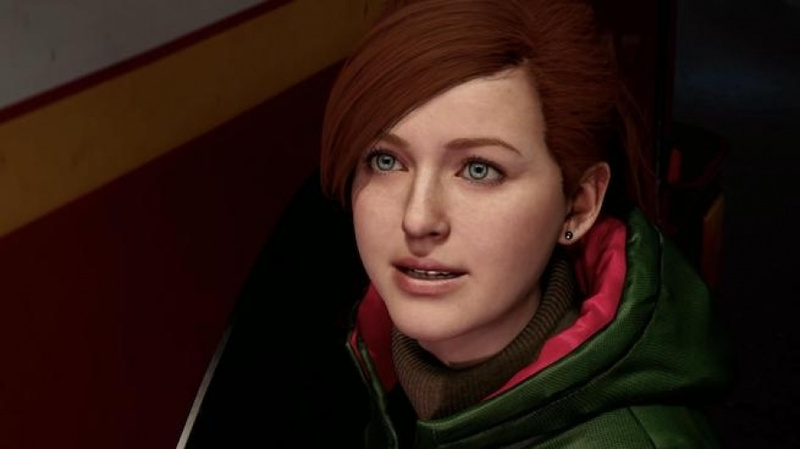 You can hear some of MJ’s dialogue in the PS4 exclusive’s brand new trailer. No Troy Baker? Literally unplayable. @AFCC He'll be in there somewhere. I love Laura Bailey's work. I was surprised when I found out it was her who voiced Nadine. Is this usual in game production? In animated movies the voice actors are recorded first so the artists can tailor the characters to the performances.This seems super late given that the game is out in 6 weeks or so. Maybe they realised they had forgotten Laura's obligatory inclusion and did a swift recasting. I love Laura Bailey. She also does Jadia Proudmore in WoW and is part of the weekly YouTube series Critical Role where her and a few other voice actors including her husband play Dungeons and Dragons. Her and her husband also just welcomed a son to the world a few weeks ago. @LaNooch1978 I think they just hadn't announced the cast yet. I'm sure she's been involved for quite some time. @get2sammyb That makes sense. I'm really hoping Insomniac stick the landing on this one because the hype is getting huge now. I'm surprised that this is news. I knew about this since around Paris Games Week. bailey is the best... this is good news. Wow, I didn’t realize all the roles she’s done. Nadine Ross? Really? I may have to play Lost Legacy again just to see, but I could have sworn Nadine had a British accent. If so, I’m very impressed. I commented in another article recently that I actually prefer that new and fresh voice actors be used because sometimes it is immersion-breaking when a familiar voice pops up from another game’s character. I am playing through Horizon Zero Dawn and despite finally getting used to Chloe Price’s voice coming out of Aloy’s face, I have to pause when I talk to NPC townspeople and every other one is Lee from The Walking Dead. But if Bailey can change up her voice that much so that I don’t recognize it, then I’m all for it! Not a bad pick. I'd like to see what she's bringing to MJ. I honestly remember her best as Persona 4's Rise. Mostly because I can't remember most of her roles other than Chun Li. She's been in tons of stuff. @DerMeister Yeah— Rise, Nadine, Fetch, ... and the awesome character Fiona in Tales from the Borderlands. @ApostateMage She's had a large variety of roles. She has even voiced characters in the dubbed versions of a few anime series and JRPG's. I reckon Fryda Wolff should get more main roles in video games, I thought she was great as Sera Ryder in ME Andromeda even with some dodgy dialogue. @ReanSchwarzer7 I hated her Rise from Persona 4 at first but ended up loving it in the end. I first noticed in her in saints row 3 and looked back at her other works. I didn't know she was Rise though thats cool. @Th3solution I think the dynamic between her and Troy Baker was one of the reasons I loved Tales from the Borderlands. They did a fantastic job. Laura Bailey is awesome. Voicing core characters in WoW, Halo, Street Fighter, SWtOR, Dragon Age, RWBY, Diablo to name a few that haven't already been mentioned. My favourite character she's done in a game has to be Fiona from Tales of the Borderlands, but I see there's already enough fans in here to save a rant on why that game deserved so much more love. That said, by far her best performances come from Critical Roll. role-playing Vex and now Jester, she's just so lively and charismatic. In front of camera having the greatest laughs (and occasional tears) you really get to see how great a person she is. Looking forward to the upcoming game even more now!